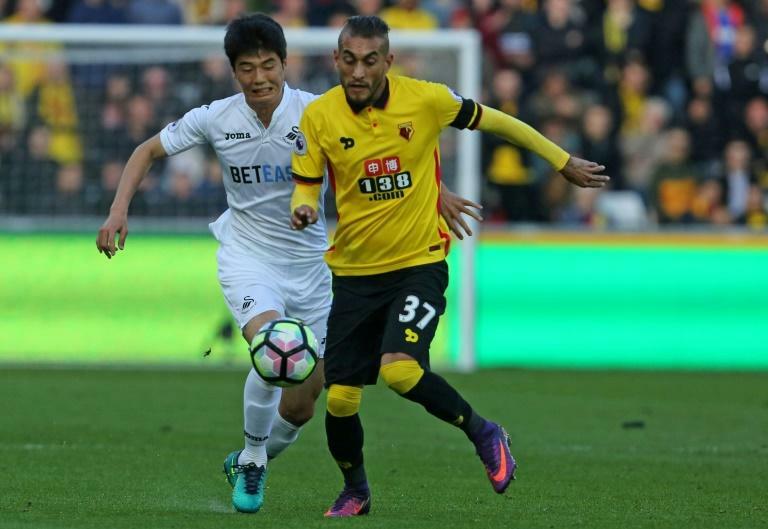 Roberto Pereyra has played in a Champions League final and a Copa America final but this season pundits are predicting he could experience the downside of football and be relegated at his present club Premier League outfit Watford. However, the 27-year-old -- who says his previous experience of relegation with historic Argentinian side River Plate in 2011 was a "catastrophe" -- told The Times such talk does not have an impact on him or his team-mates. Pereyra provided a perfect riposte to the pundits when he scored a brace as Watford opened with a 2-0 win over Brighton last weekend. "They have been talking about Watford getting relegated but it doesn't affect the players," said Pereyra, who will hope to add to his tally away at Burnley on Sunday. "We know our targets. At the end of December, you'll see where we are. "Based on the players we have, the players we've signed, and all the people working here you'll see we will have a great season. "It's not going to be easy for other clubs to play us." Pereyra has slotted in on the left since Brazilian Richarlison left for Everton for £40 million ($51 million) in the close season and has scored five of Watford's last six league goals. Pereyra came on as a substitute for Juventus in their 3-1 loss to Barcelona in the 2015 Champions League final and won two Serie A domestic doubles, with the latter earning a meeting with fellow Argentine Pope Francis at the Vatican, but he says he doesn't think he traded down in moving to Watford for £13 million in 2016. "I know it's a different club," said Pereyra. "But when I moved from Juventus to here, I didn't think about what kind of club I was going to, I just wanted to play." "It takes time to adapt to a new place, as soon as you get used to all the people working here it becomes fine, and everything gets better," he says. Pereyra, who says his proudest moment was helping Argentina reach the 2015 Copa America final where they lost to hosts Chile, is especially happy that playing professionally allows him repay his parents who made sacrifices when he was a youngster growing up in the poverty-stricken Barrio Soeme in San Miguel de Tucuman. "My parents passed on to me lots of values," he said. "They taught me to work hard. They taught me the importance of respect, and always to respect other people. "This is why I am very happy that I can now help my parents. "I go out every day wanting to work to make them glad."